These are the core values of Dikici Bridal. I want every bride to walk away with her wedding gown saying to herself her dream dress is even better than she had imagined. Dikici Bridal specializes in working one on one with each bride to create a one of a kind captivating gown that is made precisely to her physique. Quality is key to a gorgeous gown and we take pride in designing with integrity to the dress, we use the highest quality materials such as intricate beaded laces and silk fabrications along with tailored fittings that accentuate all the right aspects of a woman. Every individual woman is different and deserves a unique gown explicitly for her. 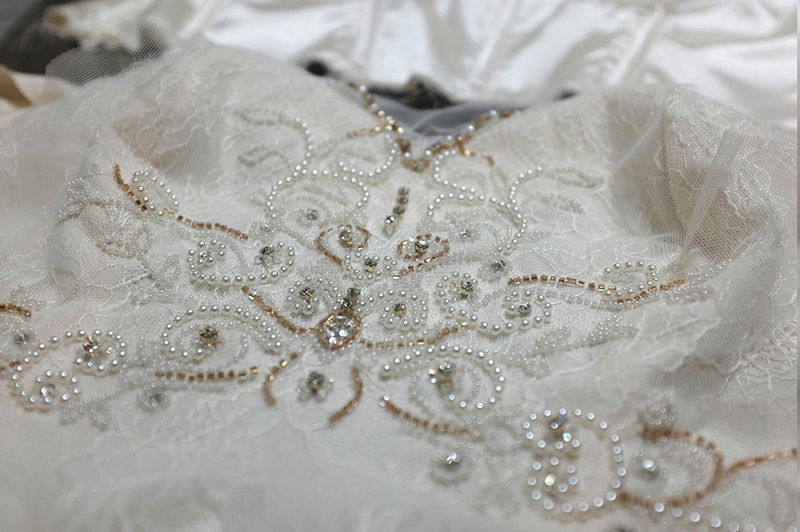 Details are specially designed per customer whether it be hand beaded embellishments or placing individual lace appliques, we put in the hours of work that you will never find in mass market dress shops. On your special day you should feel confident and luxurious in your wedding gown. You only wear it once but you will cherish the memories for a lifetime.